This summer salad hits the spot on those hot summer days! Great side dish or perfect for lunch. Cook rotini pasta or pasta of your choice per direction. Run under cold water for 2-3 minutes to cool. Chop grape or cherry tomatoes and broccoli. Cube the cheese into small cubes. 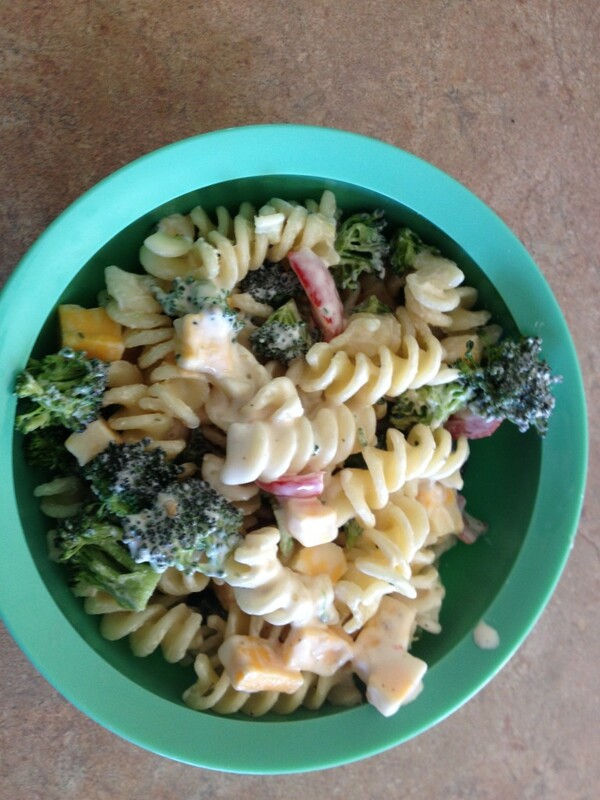 Toss vegetables, pasta, cheese, and salad dressing until mixed.